£50 West Lancashire Scouts. £60 others. Fully catered with indoor accommodation. Arrive on Friday for an 8pm start. We aim to be finished by 4pm on the Sunday. 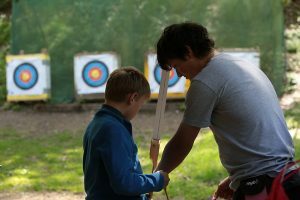 Contact county.office@westlancsscouts.org.uk, call 0199561336 or go to https://www.westlancsscouts.org.uk/product/archery-permit-course/ to book.